Anterior view of the right pectoralis major. The deltoid is ghosted in. Permission Joseph E. Muscolino. The pectoralis major is composed of two heads: sternocostal head and clavicular head. 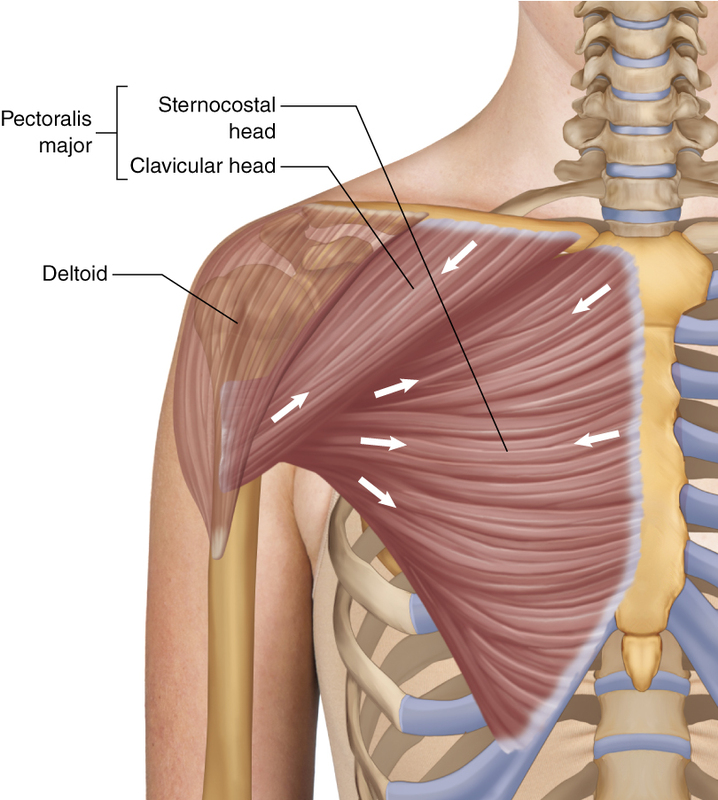 The pectoralis major comprises the vast majority of the anterior axillary fold of tissue.